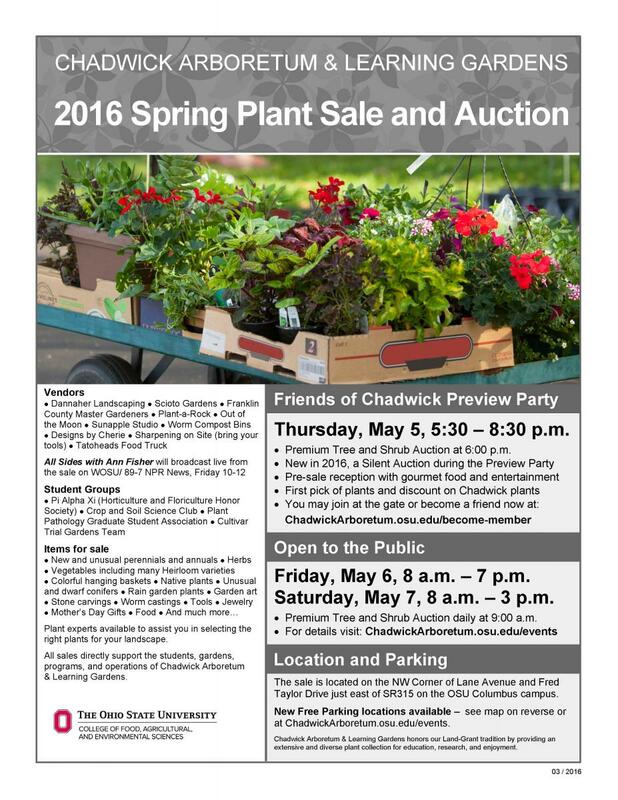 A buckeye tree with deep-scarlet flowers, sure to appeal to diehard Ohio State fans, is one of the more than 650 uncommon plant types available at the Chadwick Arboretum Annual Spring Fundraising Plant Sale & Auction. There will be a diverse selection of trees, shrubs, herbs, annuals, perennials, hanging baskets, garden art, Mother’s Day gifts you won’t find anywhere else. This year, we are also excited to announce, we will have the largest selection of vegetable and herb plants ANYWHERE in Central Ohio! We will have seedlings grown by our Ohio State students with the Crop and Soil Science Club and Pi Alpha Xi (Horticulture and Floriculture Honor Society). And this year, Swainway Urban Farms was hired to grow heirloom and certified organic vegetables for our sale. If you grow your own food or know of a local community garden, please share this great news! For a list of plants including perennials, annuals, herbs, and vegetables that Chadwick Arboretum is offering, click here. 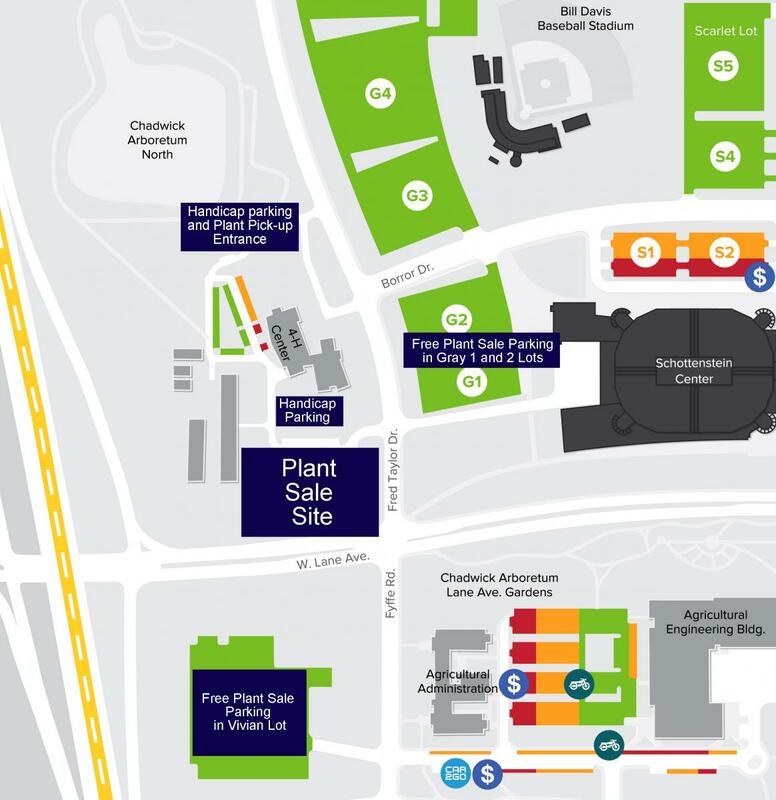 Admission May 6 and 7 is free, with convenient parking (see map below).